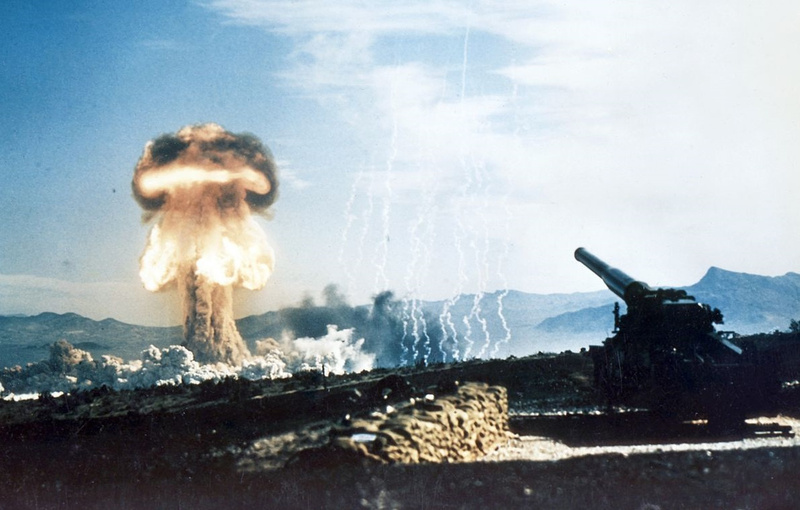 Hugo Award Book Club: The Hot War is Turtledove at his best. The Hot War is Turtledove at his best. Superficially and stylistically, it would be hard to distinguish The Hot War from most of Harry Turtledove’s previous series. As always, the writing is occasionally stilted. And as always, we are introduced to dozens of point-of-view characters representing key perspectives in every faction of a historical upheaval and their individual stories paint a larger picture of a global narrative. This is the Turtledove ‘sweep of history’ template, and it’s served him well over his career as the Dean of Alternate History. But fundamentally, The Hot War is something different, darker and timelier than anything else he has written. Keeping The Hot War to a trilogy — which is short by the standards of an author known for works like his 11-volume Southern Victory series — allows the narrative to move relatively quickly and with greater impact. 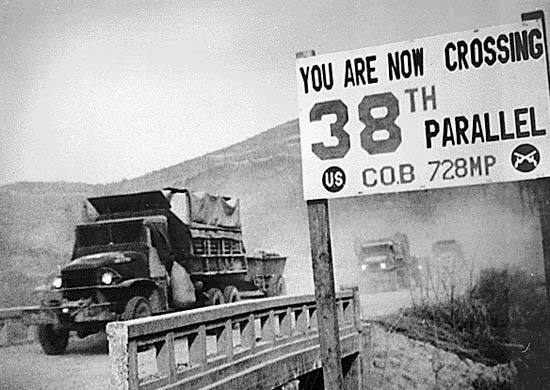 The point of divergence for this alternate history takes place in November of 1950, when (unlike in the real world) the Chinese invasion of Korea successfully destroys a significant portion of the American forces. The ratcheting up of the conflict has an inevitability and a horror to it, as first there are limited strikes by the Americans, then retaliation by the Russians, followed by direct attacks, and direct retaliations. civil war or the Second World War. Against this backdrop, Turtledove offers the interwoven stories of a British widow named Daisy Baxter trying to get by in a ruined U.K, a U.S. pilot named Bill Staley who wrestles with his conscience as he destroys cities, a concentration camp survivor named Fayvl Tabakman who has to deal with the destruction of Seattle, a German veteran named Gustav Hozzel who goes to the front lines, and literally dozens more. Turtledove's overarching themes of the universalities of human experience are well explored. Characters do their best in the best ways they know how in difficult circumstances. There are few, if any, true villains. Unlike many previous Turtledove alternate histories, the human stories are unpredictable. These are tumultuous lives marred by sudden bouts of unexpected violence and destruction that turn worlds upside down. Death comes out of nowhere, and little meaning can be found in any of it. Of particular interest in this alternate history is the tragic — and believable — story of Harry Truman. Turtledove’s research into historical figures is always impeccable, and many of Truman's decisions in these novels are based on courses of action that he considered in real life. Turtledove paints a portrait of an alternate failed presidency that hinges on one bad decision after another. atomic bomb deployed in a war. 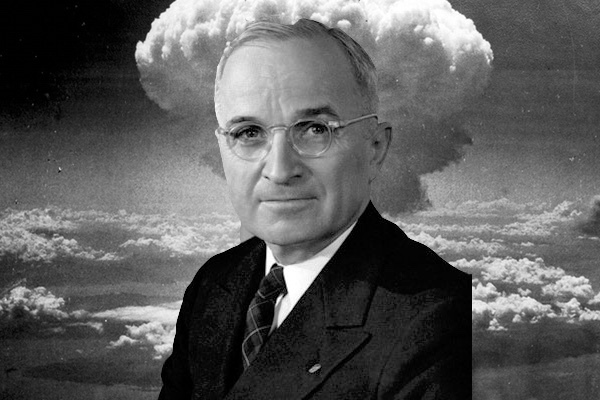 The consequences of Truman's mistakes keep compounding. The way in which this weighs on him in the novels is effectively conveyed, and this may be one of the best character arcs Turtledove has ever written. Turtledove seems to be arguing that even a well-intentioned president might invite calamity through brinksmanship. Harry Turtledove’s The Hot War trilogy concluded this summer with the publication of Armistice, and is eligible for consideration for the new Best Series Hugo. None of the three books stand on their own, and all of them have flaws. But the completed trilogy is far more than the sum of their parts, and it seems to us that this is the sort of work that the Best Series Hugo is uniquely able to celebrate. We are going to consider nominating it.